Is Rileigh's only hope for salvation to team up with her sworn enemy? Rileigh Martin just wants to do normal teenage things like go on romantic dates with Kim, her boyfriend and past-life soul mate. Although that seems impossible when she's the reincarnation of Senshi, a fifteenth-century samurai warrior. After a ninja ambush leaves her unable to control her ki powers, Rileigh vows to get them under control before her friends lose more than their eyebrows. But when Kim leaves her for his past-life betrothed and the other samurai stop talking to her, Rileigh realizes she doesn't have any friends left to worry about. 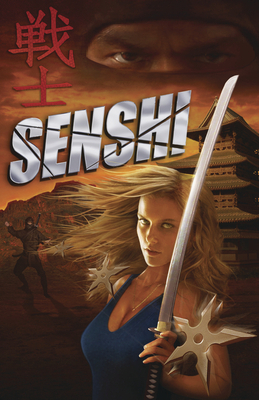 As the ninja attacks increase, Rileigh learns that the reincarnated kunoichi, a powerful female ninja, wants to kill her in order to reclaim her destructive powers. Alone and with increasingly unstable powers, Rileigh's only offer of help comes from Whitley, her sworn past-life enemy. Rileigh knows she doesn't stand a chance against the kunoichi by herself, but Whitley's sudden allegiance might be hiding a much deadlier agenda. Cole Gibsen has been profiled in the St. Louis Post-Dispatch and on St. Louis's KSDK morning news, and was featured in The Telegraph for her debut novel, Katana. She graduated from Southwestern Illinois College with an associate's degree in liberal arts, and is a member of the Society of Children's Book Writers and Illustrators and the St. Louis Writers Guild. Gibsen lives with her husband and daughter outside St. Louis in Collinsville, Illinois.